« The Truth About Sugar – was it useful for people living with diabetes? In 3 days it’s finally time to rip the jewel-like tin foil off those Easter eggs to reveal the real treasure hidden inside – chocolate! Just holding that thought evokes strong memories for me. Easter Sunday was one of my favourite days of the year: chocolate for breakfast, chocolate for lunch and chocolate for tea. With chocolate snacks in between! OK – so this is the most embarrassing admission I will probably ever make to you – one Easter Sunday my breakfast was 12, yes a whole dozen, Cadbury’s Creme Eggs. Yes I did feel gross and sick afterwards, and yes I did learn a kind of lesson – temporarily until the nausea wore off of course. So I get it. I get the urge to give in to crazy temptation. And I get the joy that too many kids will experience this weekend when they dive into their own chocolate eggs. According to one report, the average child in the UK will gobble down 8000 calories in chocolate eggs this bank holiday weekend, at an average cost of £56.00. If that is truly an annual one-off then hey – it’s Easter after all. But there is every reason to think that an obsessively unhealthy relationship with sugar is at the root of the increasing rise in health problems for our kids: tooth decay, obesity, earlier and earlier onset of Type 2 diabetes. 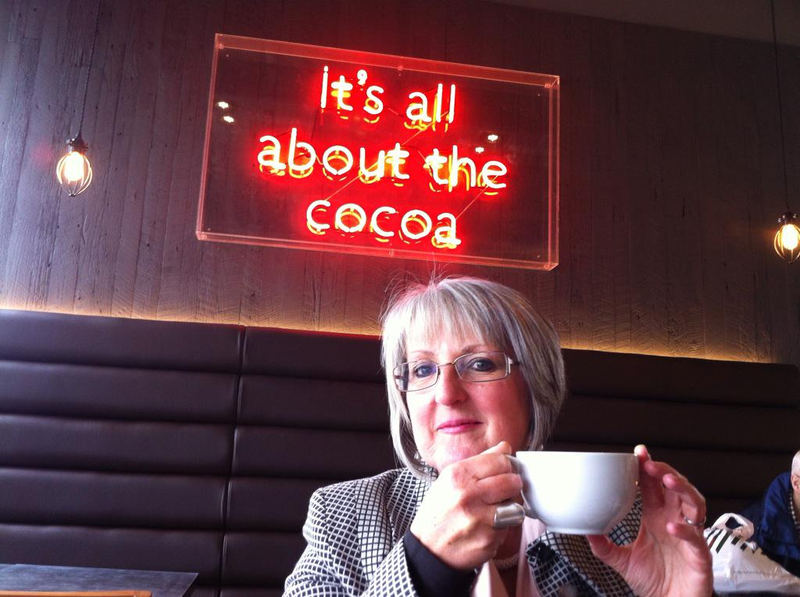 …I will indulge in my favourite 100% cocoa drink – no sugar. I will indulge in a small amount (because a small amount is enough!) in one of my favourite 100% – no sugar – chocolate bars. Hmmm. Can I guess what you are thinking here? Perhaps. You see there was definitely a time when I would have been very sniffy about anyone claiming to be so virtuous where chocolate is concerned. And it’s a real turn around from the person who ate the 12 chocolate eggs for breakfast one year. But it’s a turn around I’ve had to work at. It’s my way of combining a desire for great health with my big, BIG love of chocolate. The first time I tried olives, I didn’t like them. But I wanted to like olives. So I worked at it, kept trying them, kept spitting them out, and eventually came to tolerate them. Came to like them. And came to love them!. I did the same with alcohol in my early adulthood too. The wine that tasted like vinegar gradually began to taste like nectar. Can anyone relate to this train of thought yet? I’d love to tempt you to try it – and if you need an added motivation to acquire the taste let me share one of my favourite research findings in ages: high cocoa content dark chocolate, eaten in the right circumstances, could help you to lose weight! Have a very happy & healthy Easter everyone! This entry was written by rebalancediabetes, posted on April 2, 2015 at 8:16 am, filed under childhood diabetes, childhood obesity, diabetes, sugar and tagged chocolate, diabetes, Easter, Easter eggs, insulin resistance, obesity, tooth decay, Type 2 diabetes. Bookmark the permalink. Follow any comments here with the RSS feed for this post. Post a comment or leave a trackback: Trackback URL.